Grosvenor Casino’s popular GUKPT is off to Luton next month with a packed festival running October 7-14. The £200,000 guarantee, £1,000 + £110 buy-in Main Event runs October 11-14. The schedule also the £10k guarantee Mini Main, an £150 Omaha 4/5/6 event, several NL tournaments and a £100 Turbo Bounty tournament – plus, of course, lots of satellites and cash games. Don’t miss the rest of this year’s GUKPT. After the GUKPT Luton, the GUKPT hits Blackpool for one of the most popular stops of the year (November 4-11) followed by the GUKPT Grand Final, November 18-25, at the Poker Room above the Grosvenor Victoria Casino. As always at GUKPT events, MainEventTravel.com is sponsoring the all-in triangles in Luton to do watch out for them on the live stream. 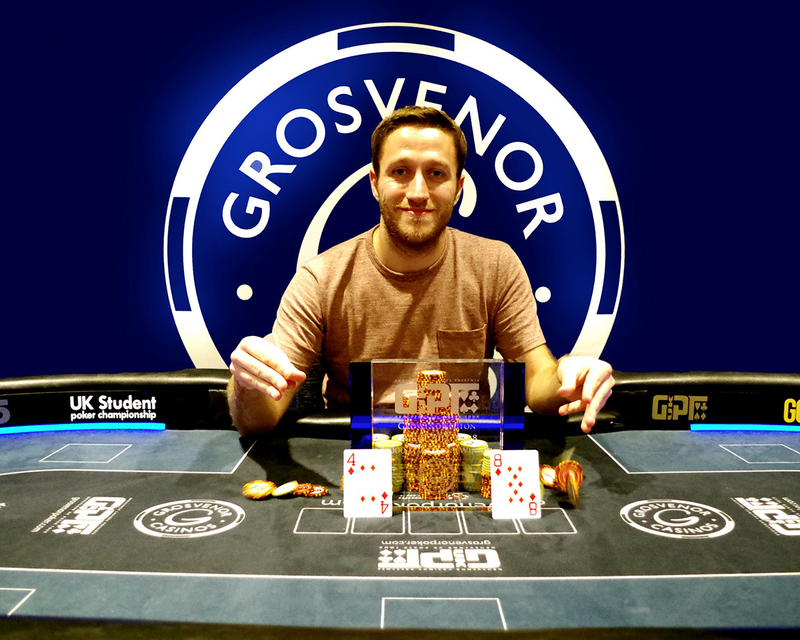 Well-known British pro John Eames won last year’s event for £68,350 and his first ever GUKPT title. Eames, who dominated the final table, beat an overall field of 239 entries. Eames has won more than $2 million at live poker tournaments in a career spanning a dozen years. The GUKPT, which is celebrating its 12th season this year, has never missed a Luton stop; previous winners have included Sam Trickett (Season 2), Richard Gryko, Neil Channing, Charles Chattha and Jamie O’Connor. The GUKPT is the longest running poker tour in the UK, welcoming poker enthusiasts from all across the country for a packed week of fun poker action.